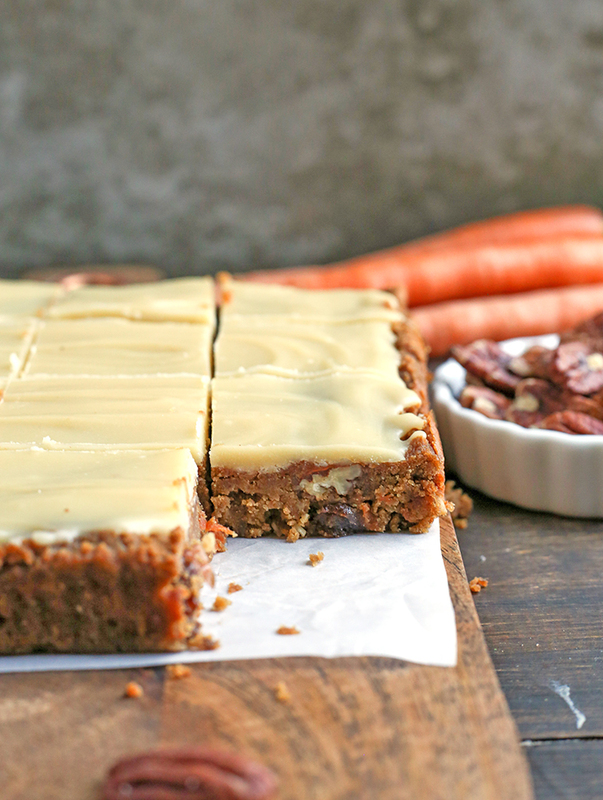 These Paleo Vegan Carrot Cake Bars are easy to make and so tasty. 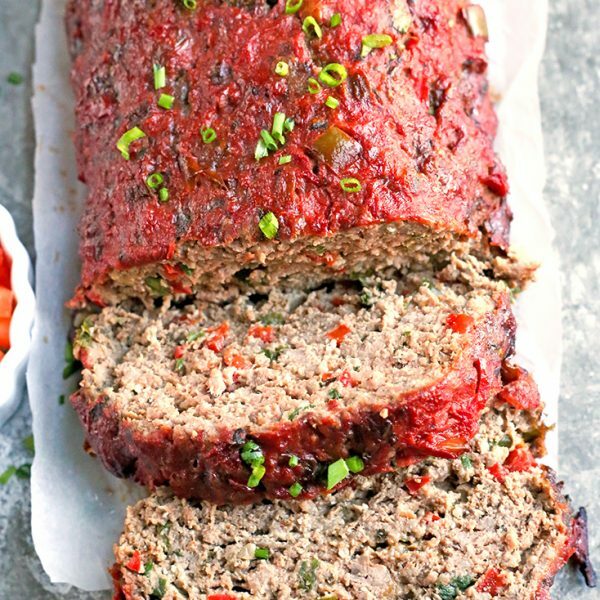 Moist, spiced just right, and topped with a delicious frosting. Gluten free, dairy free, egg free, and naturally sweetened. 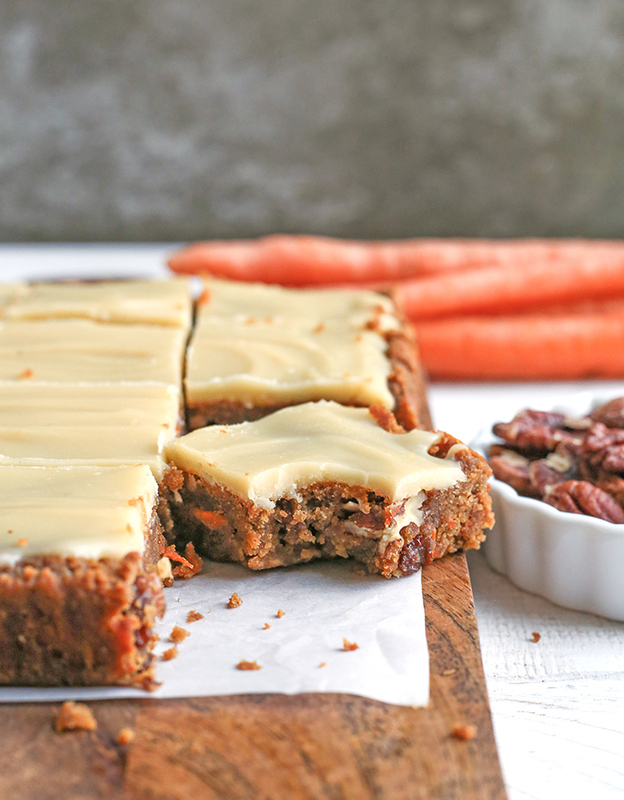 Easter is a couple weeks away which means it’s carrot cake season. I’m not sure how that works, but I love carrot cake so I’m okay with it. I have some other carrot cake desserts, but I thought a bar with frosting sounded delicious and I was right. 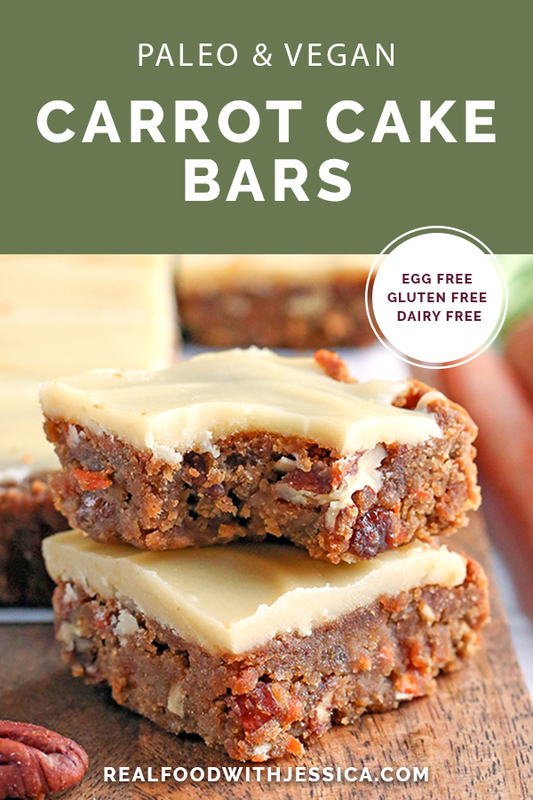 These are so simple and if you love carrot cake then you’ll love these! 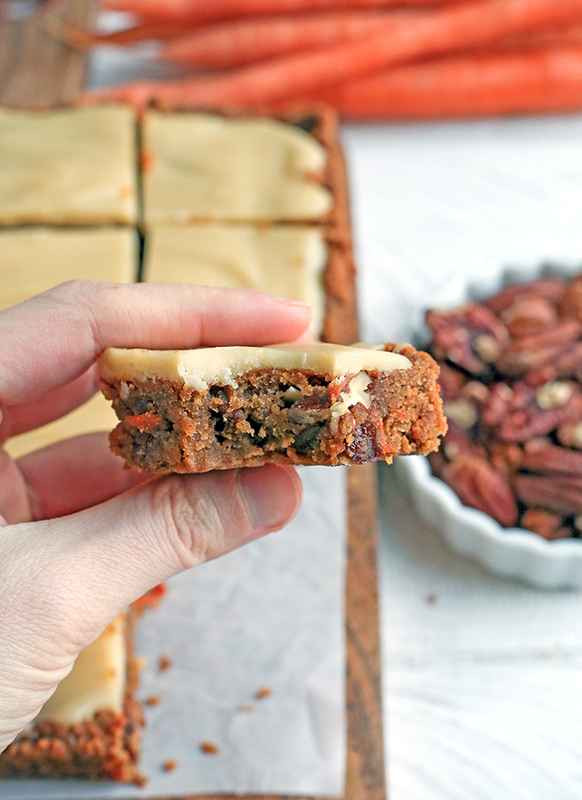 The texture is kind of like a brownies, but with carrot cake flavor. They are thick and dense and there is no baking soda used so they don’t rise like cake. These contain no dairy or eggs making them vegan or good if you are working around an egg allergy. Just be sure to use butter flavored coconut oil in place of the ghee in the frosting to keep them vegan. These are full of goodies- chopped pecans, shredded coconut, raisins and of course carrots. These add-ins are optional and customizable. Keep what you love and leave out what you don’t. I think making them again I would leave out the coconut, but that’s just my personal preference. You do you! The frosting is the same one that I used for my Paleo Sugar Cookie Bars. 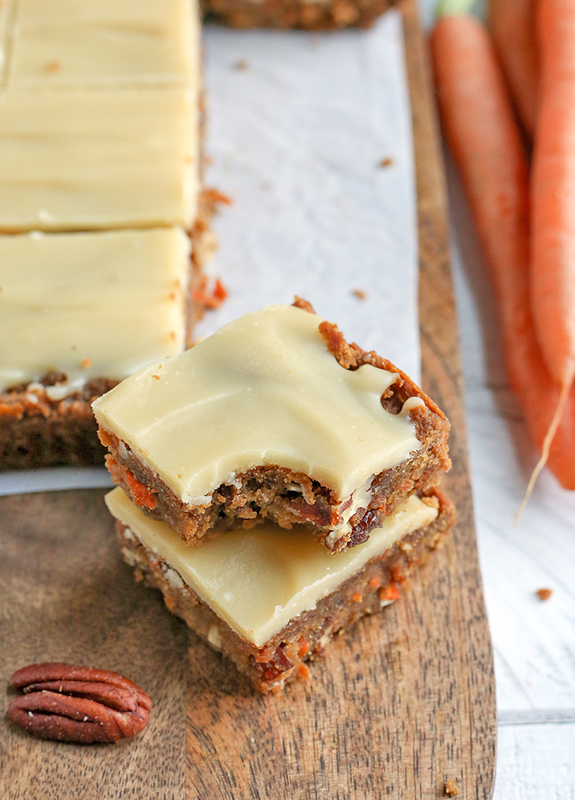 It’s not cream cheese which classically pairs with carrot cake, but it’s so sweet and creamy you won’t even miss the cream cheese. Yes, you can make a dairy free cream cheese with cashews, but I wanted something simple and this was it. Promise you will love it. 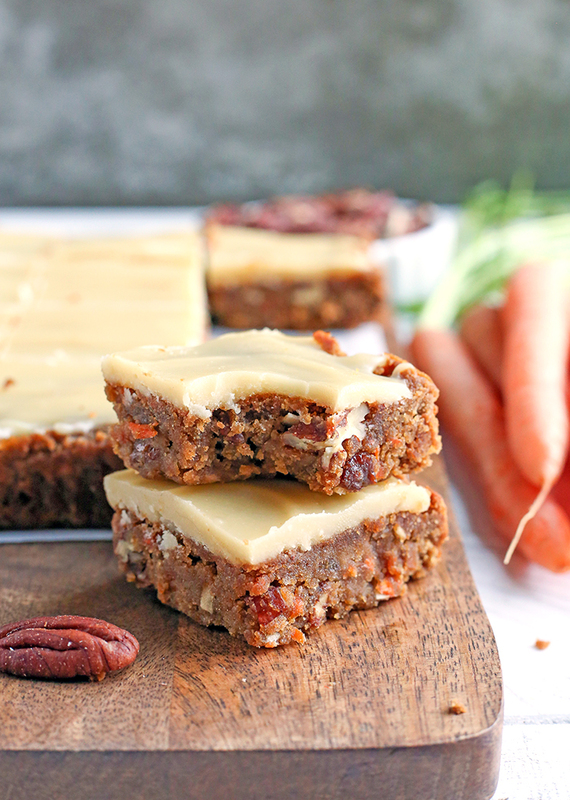 Here are my other carrot cake treats you will like: Paleo Carrot Cake Coffee Cake, Paleo Carrot Cake Bread, and Paleo Carrot Cake Scones. Preheat the oven to 350° and line a 8x8 (or 9x9) pan with parchment paper. Set aside. In a large bowl, combine almond flour, coconut flour, coconut sugar, cinnamon, ginger, nutmeg, and salt. Stir well. Add in the coconut oil and almond milk and stir well until mixture is combined. Add in the carrots, pecans, raisins and coconut (if using) and mix until everything is well incorporated. 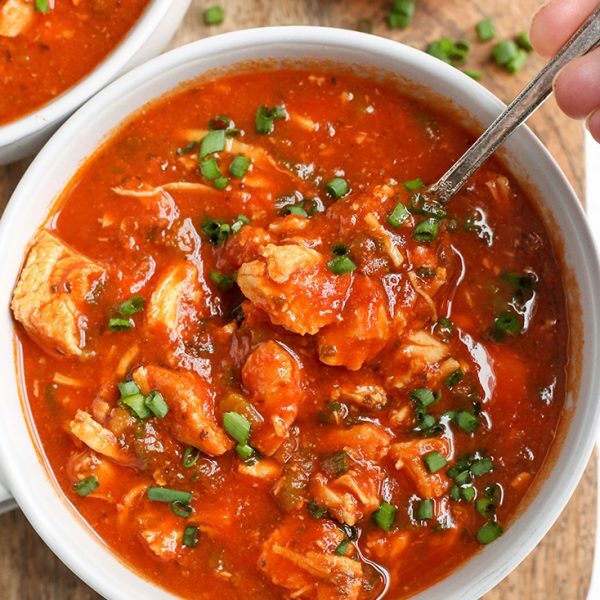 Scoop into the prepared pan and spread as evenly as possible. Bake 30-33 minutes, until edges are slightly brown. Let cool before frosting. Once cooled, make the frosting. Warm up the coconut butter until smooth if needed. In a small bowl combine the coconut butter, maple syrup, ghee, vanilla, and salt. Stir well until smooth. Spread over cookie bars and cut and eat or store in the fridge. Thanks, Debbie. 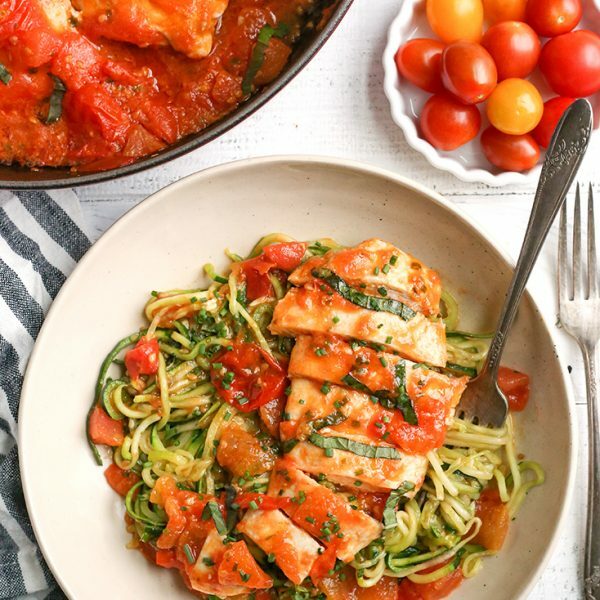 No, I don’t calculate nutritional info for my recipes since I just focus on eating real food. You can use a site like My Fitness Pal to calculate it if needed. 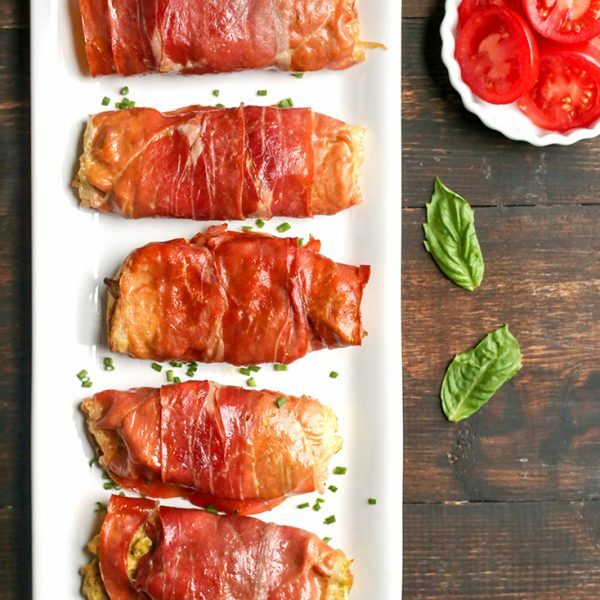 I think your grandsons will love these! These bars are absolutely delicious! The frosting is marvelous and and cake is so moist. Thanks, Suzanne! So glad you like them! These are amazing but I struggled a little with the frosting. Could you give me some tips? This is my first time working with those ingredients so a bit of a learning curve for me! I tried just mixing everything together and it was grainy. I used the butter flavored coconut oil because I’m making these for people who are dairy free. Hi Jasmine- thanks for trying them! My suggestion would be to melt it a little in the microwave to get it smooth, then cool it a little in the fridge. When I tried melting it with the ghee, it separates and looks like it’s going to be ruined, but as it cools it can be stirred back together. That should helps with the graininess. You could also try whisking it with a small whisk if you have one. Hope those tips help and let me know if you have any other questions. Thanks! We don’t have a microwave but I did try melting it in the toaster oven.. And into the fridge.. But it cooled into two layers. (A coconut oil layer at the top and a syrup layer at the bottom). Oh no! Just let it cool a little, not fully then try whisking it together. I hope it works. You’re welcome! Made these! They taste awesome. Started cutting and they got crumbly. Put them in the fridge to cool them a little before I ice and cut them. Thanks for trying them, Tana! Glad you like them. Yes, keeping them in the fridge makes them easier to cut.